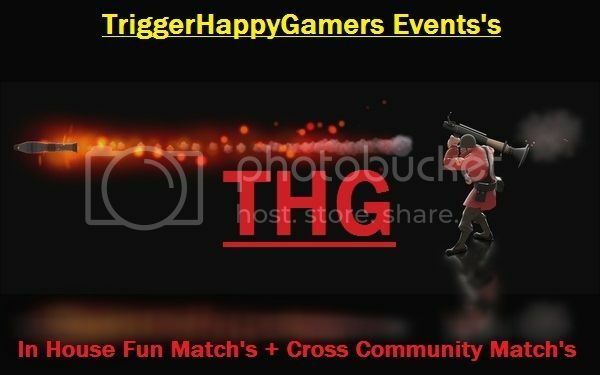 All welcome to sign up for THG events! -Be on the server and in mumble no later than 6:40pm bst/uk to get things organized. -Stay for the duration of both maps! -Notify me if you cant make it or suddenly have to leave! Add me on steam friends to let me know! Once we have full interest names down/signup etc! maps and teams will be organized and balanced to make things fair and posted nearer the time of event! Thank you and good luck/have fun! Thanks for organizing this Mig! Remember to let Mig know you fav 3 classes. "you have a chance of being 1 of them then"
Dont worry AMT i wont fail you this time! I'll sign up as an engineer, soldier or sniper! spy crabs is also in!